9 White Deer has recently launched Europe’s first full range of gluten-free craft beers. The Stag Saor range features a Red Ale; a Pale Ale; an IPA; a Kolsch; and a Stout. 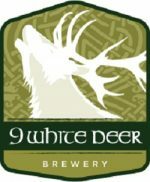 9 White Deer was founded in the Muscraí Gaeltacht in Ballyvourney, Co.Cork in 2014. 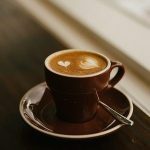 Within the company’s first year, co-founder Don O’Leary was diagnosed with a gluten intolerance, which essentially determined the direction for the business. Stag Saor is available nationwide from Classic Drinks and also in Dublin from CBG Wholesale. For a full list of stockists visit www.9whitedeer.ie. NO GLUTEN? NO PROBLEM! The Foods of Athenry  making free-from fabulous, one day at a time. We believe that good food promotes good health and so we apply that simple rule to all our products. As well as certified gluten free  many of the products are dairy and/or egg free and suitable for Vegans. Based on the family farm in County Galway, we handcraft fabulous GLUTEN FREE crackers, cookies, flapjacks, cereals and Christmas deliciousness, baking our all-natural range to original recipes with a guaranteed high taste profile and 60 taste awards to date. Riso Gallo award-winning 3 Cereali pasta is an authentic, delicious gluten-free pasta with traditional farina flavour and perfect al dente texture as only Italians would make. Our 3 Cereali pasta provides a light, more digestible alternative to wheat pasta, without sacrificing flavour, texture, or nutrition. Using a blend of three grains – maize, rice and buckwheat, 3 Cereali pasta is high in vegetable proteins, mineral salts and vitamins. Its firm texture holds and absorbs sauce beautifully, and cooks in just 6-8 minutes. Linwoods is a family owned company manufacturing a range of Premium Bakery, Dairy and Healthy Super Foods. Linwoods products are sourced in their raw form from around the world and are selected from the best suppliers to ensure the highest quality and standards. Company philosophy has always been about delivering fresh, great tasting, quality products and this is core to everything we do. In our bakery, we use the best blend of ingredients to bake superior products that meet our customers and consumers quality standards. In addition to bakery products Linwoods also supplies a range of Fresh Milk and Cream products to their customers in Ireland. Sean & Connor Morgan started Oh So Lean because Connor wanted to lose weight. The slimming club he joined had sausages and burgers as part of his diet but these had to be made to specific requirements so Sean set about making them and before long had a variety to choose from. The range has been expanded to include Gluten Free products and they are available to buy at various meeting points all over Northern Ireland. See our website for more information. Our unique products are formulated and made right here in Ireland. Then they’re exported around the world. We’re building our brand one small success at a time. From our original product Revive Active Health Food Supplements with its abundance of benefits to our multifaceted Joint Complex, we are making a difference to people’s lives. Our commitment to producing quality products is recognised by the national and international industry, business and enterprise awards which Revive Active have received. Delivering real benefits in ways that really matter, that’s Revive Active right here in Ireland. Here at Rule of Crumb we offer a wide range of quality, gluten free items delivered directly to your door. All our products are certified by Coeliac UK and feature in their Food & Drink Directory. Please browse our gluten free shop, select the items you would like to purchase and they will be delivered by DHL directly to your home or workplace. Our range includes Breaded chicken, Fish, Pies, Breads, Profiteroles, Eclairs & Muffins. Buy our range in N.Ireland from Chillfoods Coleraine, Marquess Meats Farm Shop, Muckamore  Antrim, and many Eurospar, Mace, Centra and SuperValu outlets across Northern Ireland. SoulBia.com is an online food store specialising in Irish Artisan and Free-From food. We offer new products for a new generation. We have a passion for natural, nutritious foods that don’t compromise on taste. Our product range includes wholesome raw snacks, free-from foods, baking mixes, vegan and paleo friendly options and more! Find the full range on our website soulbia.com. We’ve got you covered from Kimchi to Kombucha! Oh, and did we mention, we do next day delivery nationwide? An artisan ‘free from’ home bakery producing hand made cakes, tray bakes, muffins, desserts and scones. We are a 100% wheat and gluten free kitchen and we also cater for dairy, egg, soya and sugar intolerance. We can create bespoke cakes for any celebration tailored to your dietary needs. We supply retail, trade and private customers alike and we also support local farmers markets – follow us on Facebook/Twitter for up to date information on stockists & upcoming events.